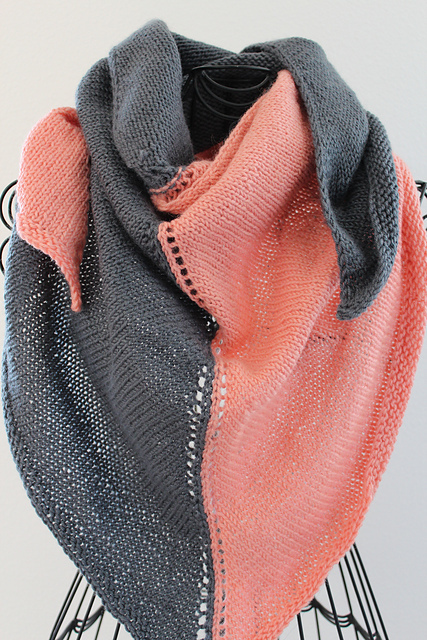 It's a shawl! 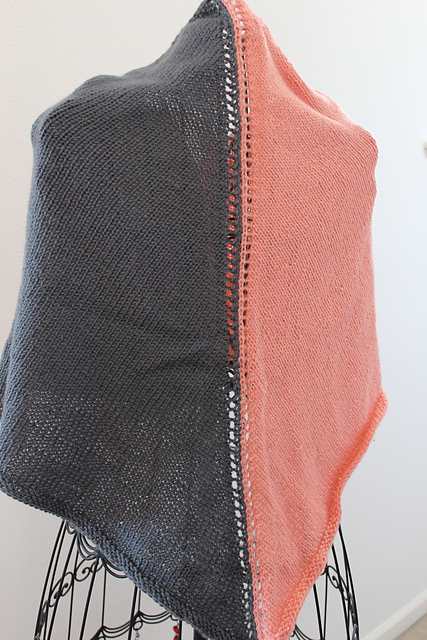 I think this Peach and Gray Two-Face is the first shawl I've knit, definitely the first triangle shawl. The pattern was great mindless knitting, but, like most shawls, it got really slow towards the end when I had a bajillion stitches (very accurate estimate) on the needles. The yarn was not as great as the pattern, however. I bought this yarn online and attempted to judge the softness of it by pictures, which is rather difficult. The colors were accurate to the photos, but the softness not so much. It was listed as "pure wool" and actually feels a little more like acrylic, or a scratchy acrylic-like wool. It's not super rough, but it's no malabrigo. It seems to be holding some of the wrinkles when I fold it, but I still like the colors and the way it looks. 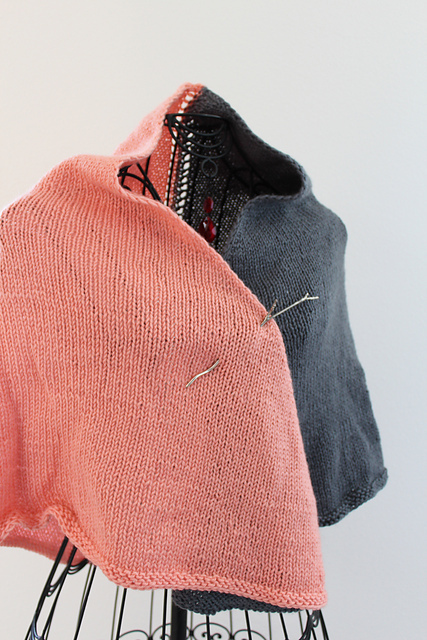 So overall, an easy, enjoyable pattern with some not as enjoyable yarn.